We enthusiastically invite you to submit research projects, creative ideas, and skills development efforts that pertain to mentoring for presentation at this year’s IMA annual conference at the University of Florida Gainesville to be held March 11-12, 2019. This year’s theme is to honor the diversity of mentoring initiatives that are being offered in practice and in research. This conference will provide the opportunity for participants to hear from the leaders in the mentoring field with practical ideas that range from beginning a mentoring program in your organization to launching research components ensuring a powerful and enduring program. Speakers will share their ideas, programs, applied research, and successful mentor platforms. Successful proposals will connect to this theme and will create an environment of learning for participants. We anticipate a broad range of participants from higher education, K-12 education, youth mentoring, government, business/corporate, legal, medical, non-profit, consulting, including practitioners, researchers, policymakers, and mentoring program leaders. These workshops are intended to be participatory sessions where you will interact with others. The variety of sessions will provide both new and experienced mentors with an opportunity to continue professional growth. Each presenter will have a 1 hour time slot. The session requires a depth of content and contextual framework identifying objectives and audience take-aways. Participant involvement clearly enhances the presentation. Concurrent sessions – Each presenter/presentation team will have a 60-minute slot to present (45 minutes for presentation, 15 minutes for Q&A and session evaluations) during the concurrent sessions at the conference. Poster sessions - There will be a time in the program for the Poster Sessions. It will be a time for attendees to browse through the room and stop and listen to your short explanation of your poster. Easels will be provided. The IMA proposals must explicitly connect to the conference theme and demonstrate both subject-matter expertise and a broadening of the field of knowledge related to mentoring. Reports of innovative programs that demonstrate replicable ideas of “what works” for preparation or mentors/ protégés or the practice or mentoring. Presentation of practical tools, resources, or strategies for evaluation and assessment of mentoring programs. Reports/examples of successful mentoring and protégé preparation training methods or materials. Examples of the use of mentoring for the development of talent in organizations. Analysis, interpretation, or creation of policy at the programmatic and/or legislative level that demonstrate implications for programs and practice. Reports of mentoring program success with diverse cultures and contexts and under-served populations. Sound academic research that contributes to the body of knowledge and offers implications for programs and practice. 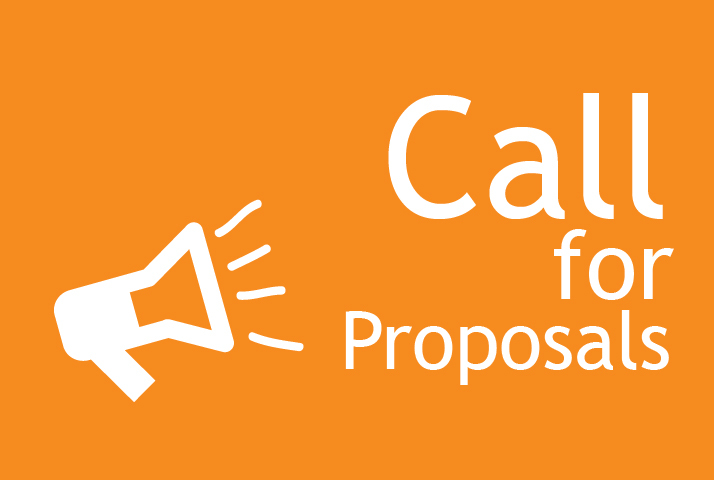 Adherence to proposal guidelines as described in this Call for Proposals. Demonstration of subject matter expertise. Potential to broaden the field of knowledge related to mentoring. Clear statement of what new information, tools, strategies, or knowledge that audience members will be able to take back to their programs or organizations. Poster Session Presenters may submit a proposal for both a concurrent session (deadline January 4, 2019). a) mentoring program overview/ report of success, b) mentor practitioner tools/strategies, c) mentor or protégé training preparation/program/materials, d) mentoring innovation, e) creation/analysis of policy/ legislation, f) tools, resources for evaluation/assessment of mentoring program, g) mentoring program success in diverse cultures/ contexts, h) mentoring for talent development in an organization, i) academic research with implications for mentoring programs/ practice. Promising Practices & Research Objective for the audience/participant’s take away from the session. Presenters must plan to bring their own laptop (PC preferred/MAC adaptor is available). Projectors will be provided. Each presenter must pre-register for the conference and pay the presenter registration fee by the deadline for regular registration or the session may be cancelled. Please note that the presenter fee is the same as the IMA member fee, so you can go ahead and register if you are a member, even if you do not know yet if your proposal is accepted. Each presenter/presentation team must submit a PDF or Power Point of their presentation by Friday, February 15, 2019 to be included in the conference proceedings. Formal papers are accepted, but not required. Power Points will be accepted. Please put your contact information in the Power Point or Paper. Additional information about uploading these documents will be provided to the speakers. Deadline to submit proposals is Friday, January 4, 2019. Notification of acceptance will be made by January 18, 2019.